Once upon a time, I used to stay in youth hostels as they were a cheap way to travel. I didn’t let that cheesy horror flick from the early 00s deter me. However, as I’ve grown older, I’d prefer to pay a couple of euros more and have the privacy and tranquility of my own room. (And in Spain, it’s not that hard to find a cheap pensión or “hostal” (hostel is “albergue”, false friends) After a couple of horror stories, one can imagine why. As I prepare for the Camino de Santiago del Norte from Santander next summer, I am somewhat apprehensive about the albergues after some of my experiences. Most of the time, things are fine and people are somewhat normal. They tend to be young university students who are looking to party or interesting older folks who want to see the world in a cheaper way. One of the better experiences I had was in Santiago where I met a guy about my age (I was 27 at the time) who was traveling to see the world, and we went out and had drinks and enjoyed the night. The same happened a few months later in Madrid with a French guy who spoke flawless English and Spanish. In Mallorca the following year, on my worst holiday ever, I met a Brasilian guy living in London who tried his best to seduce me. I turned him down, but we did go out that night. I was so angry I was the only one in the group who knew Spanish and who wanted to meet, you know, locals. Wherever I travel, I am always wanting to meet locals and learn more about the place than I am other tourists. This spring, I returned to staying in hostels due to Ireland being super duper expensive and a bunk bed in a shared room is more expensive than a private room with a private bath in most Spanish cities. I met some friendly people, but I was on Spanish time (meaning I woke up way too early despite Ireland only being an hour earlier than peninsular time). The hostel in Cork was located a good 20-minute walk from the centre of town, and being there on a weekday meant there was absolutely nothing going on. In Dublin, I shared a room with someone who worked there and an Indian guy who was awake no matter what the time was and on his laptop even more than me. No big problems. In Pamplona, there was hardly anyone at the hostel except angry German pilgrims doing the Camino Frances who did not understand the Spanish, English and German on their e-mail stating in bold letters that if you cancel a reservation the day of, you will be charged the full night. This is standard procedure in most places in Spain if not Europe. By failure to cancel, the hotel/albergue/pensión misses out on selling a bed, and they need that money in times of crisis. I tried to help explain what the desk clerk was saying in Spanish, and they went off on ME for taking their side about something that had been previously said. The customer is not always right. Lucky for me, the only other person in the room I was in was a madrileño, who in typical madrileño style, did not understand why I ever left Madrid for Bilbao and slept late, missing his important doctoral class he was in town for in the first place. Another fun time was when I was in Barcelona and went into the kitchen to fill my water bottle and got screamed at by an American “DON’T DRINK THE WATER!” Apparently she thought as Spain speaks Spanish that the water must be like Mexican water and carries with it Montezuma’s revenge. After asking if there was a boil advisory or something, which can happen anywhere, and the girl shrugging saying “You don’t ever drink water in Spain!” I went ahead and filled it up and drank it in front of her. Another American who, like me, lives in Spain rolled her eyes at the tourist and asked me about Valencia versus Barcelona. By the way, I was fine drinking the water. The water from the Mediterranean cities can be a bit hard so many people prefer bottled water, but it is perfectly safe to drink. In Amsterdam at the age of 21, I just remember the shower leaking through the entire room and me spending as much time as possible outside the hostel. My first hostel experience was in Barcelona that same year, at 21. It slept about 20 to a room for 10 Euros or so a night. The desk clerk was horrible and unfriendly, and they still had lock outs. So I slept about 2 hours when I arrived at 7 am, and that second night I was nearly pickpocketed and robbed on the Ramblas. Don’t ever walk alone on the Ramblas at night. Now that I’ve spent more time in Barcelona than any other Iberian city that I have not lived in, I just avoid the Ramblas all together. The best story, and by best I mean HORRIBLE, DISGUSTING, SO BAD IT HAS BEEN FICTIONALIZED IN MY SECOND NOVEL…happened in Rome when I was 26. It was my first Christmas in Europe, first Christmas away from my mom, and I was traveling through Italia for the occasion. I was staying at a pretty famous hostel in Rome. I believe it was the 26th or 27th, my last night in the city. I had seen all the tourist sites and even saw the Pope give Midnight Mass on the 24th. I was tired and ready to go on to my next destination, Milan. At about 5 in the morning, I was suddenly awoken by a drunk guy stumbling in. A few seconds later, there was screaming from the others in the room. WHAT THE **** ARE YOU DOING?? What was he doing? Why mistaking suitcases and the floor for a urinal, of course! We all rushed downstairs to complain to the desk clerk, who did her best to calm us down as they sent someone to clean the room. When everything was clean, I considered myself lucky that all my stuff had survived the night dry. However, the guy had absconded with some of my rings and bracelets. A small price to pay. As the Spanish say, mejor estar solo que mal acompañado. What are your most memorable, for better or for worse, hostel/albergue experiences? Are they a nightmare for you, or do you love them? By the way, if you’re on Facebook, you can like Setmeravelles, and you can also follow me on Twitter, although I will say I do Tweet about more than just travel! Valencia. More than just the capital city. 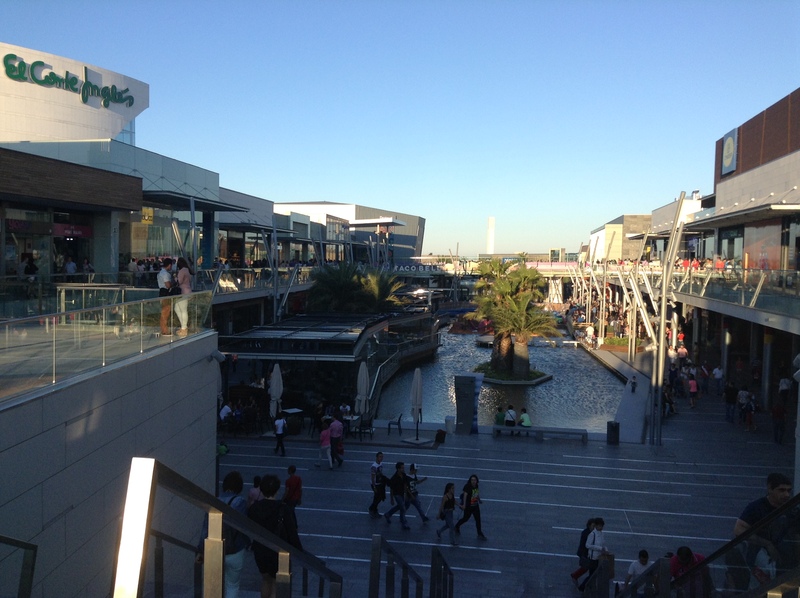 Two weeks ago I provided a look at the capital city of Valencia. However, Valencia is more than a city. It’s a province and a Comunidad Autonoma (with three provinces, Castellò, València and Alacant/Castellón, Valencia and Alicante). Valencia province is home to many of Spain’s most popular beaches (you will notice the lack of Gandía on here, as it is too touristy and a certain MTV reality show gives it a bad name), and it is home to mountains. And lots of orange trees. Valencia has some of the most famous festivals (La Tomatina anyone? For the small fee of 10€, in late August you can throw tomatoes at people) and some of Spain’s best food (paella.) 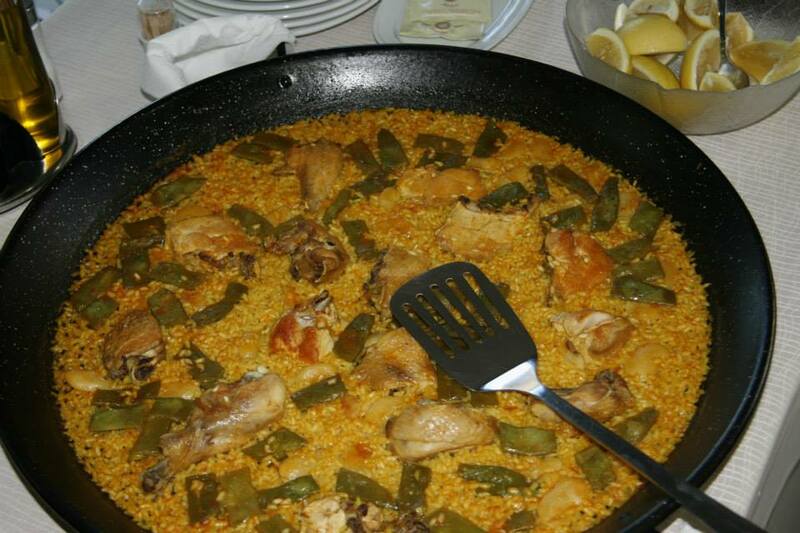 Paella valenciana is with the rice and chicken and/or rabbit. Paella mixta has those infamous prawns. Valencia province has a lot of spectacular nature, and Valencia also is home to some of the most spectacular firework displays in the world. 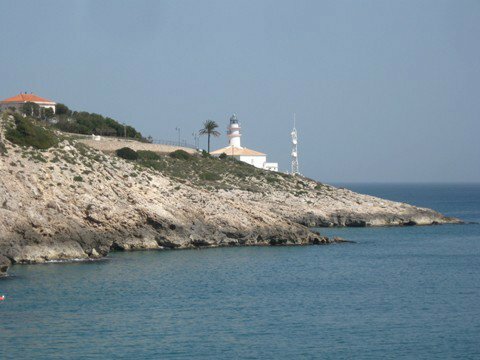 Outside the capital city, which has more than set meravelles in itself, the province of Valencia has a lot to offer. Unfortunately, I am lacking photos of some of the places due to various computer crashes and camera losses. I will link to the official sites of the places and will make it a goal to spend some time in Valencia soon to get new pictures of these places! 2. Xàtiva One of Valencia’s most beautiful villages is located not on the sea but in the interior part of the province. 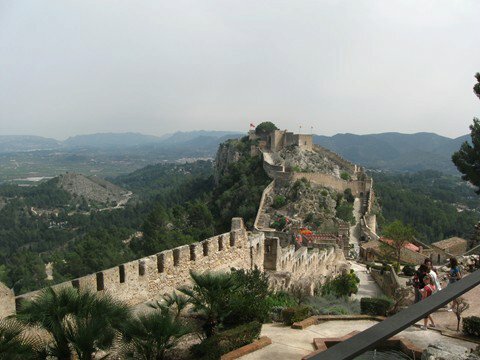 Xàtiva offers a castle and awesome views of the mountains, and it also offers a great chance to practice your valenciano. Visca Xàtiva! 3. Cullera So much nicer than Gandia and a lot less touristy. Cullera is valenciano for “spoon”. It’s also closer to Valencia capital. 4. Sagunto. Now famous as the highway/motorway from Teruel and places north ends here, Sagunt(o) has an old Roman theatre and a nice old town to meander through. It was also the halfway point between Valencia and my work place. It’s on the sea, of course, and offers a beach and a port. 5. L’albufera. The Albufera is an incredible freshwater lagoon next to the Mediterranean just south of Valencia city. You can still see the houses typical of Valencian farmers from days of yore and where they grow rice for the paella. I got to go for a nice boat ride on the lagoon my first month living here. It has a surface area of 52,200 acres. 6. Bocairent (to be seen) This beautiful village has long been on my Bucket List, and I really want to go for the hike between this village and neighbour Ontinyent one day. 7. Embalse de Contreras. Every time I have taken the four-hour bus ride between Valencia and Madrid, I am amazed at the reservoir between the provinces of Cuenca and Valencia. Amazingly beautiful, and the best way to be welcomed to or say adéu to Valencia. Being on the Camino is a transformative experience, and I’ve only done two “días sueltos”, as they say in Spanish. Separate days, or “loose days” with the literal translation, just doesn’t sound right. It gives me peace, quiet and tranquility. As I already did the part from Pasaia to Donostia (San Sebastián) last summer on a whim (I had heard about a beautiful walk between Pasaia and Donostia and stumbled upon it by pure luck), I decided to start from Donosti Thursday morning. After waking up at the all-too early hour of 6:00, I made it to the Moyua metro station in Bilbao to go to Termibus to catch the bus from Donostia. I am recording this part of it too as I want to have an incredible honest and accurate of my pilgrimage to Santiago. As crowds tend to give me anxiety, and as Aste Nagusia is still in full force in Bilbao, and as Bilbao is technically Spain, that meant an overcrowded metro of drunks still partying. This triggered a panic attack. Grrrrrr. However, by the time the bus took off to Donostia and the sun was rising over a beautiful Basque day (so rare this summer), I had full recuperated and was only full of excitement and adventure for the day ahead. I finished Franzen’s Freedom and started Divergent while grooving to Mariah and then my worship playlist. Donosti is my favourite city on the planet, so I know the streets somewhat well. I wanted to have something else to eat before setting off, but my fave bar only had crossiants, which I do love, but not what I was wanting. I had to walk around a bit to find a bar with pintxos de tortilla, something I find extremely odd for the Basque Country. When I went to the Cathedral, they were having mass, and I sat in for a good minutes. Once upon a time, I was going to convert to Catholicism but decided against it as I did not want the last Pope to get converts. As I really like Pope Francis, I should look into it again. I went ahead to the tourism office where a beautiful Basque Lad stamped my credentials and loved the fact I said “eskerrik asko” and spoke in Euskera to me. Euskera was a theme for the day, as when I stopped to eat they greeted me in Euskera, and because of my vocabulary of 30 odd words (ten of them being the numbers 1-10), proceeded to NOT switch to Spanish despite the fact *I* switched to Spanish quickly. On the way back home, I later ordered my café con leche in Euskera (kafesne bat), and the waiter was super excited. I need to learn more Euskera, but that’s another entry in itself. One thing I noticed today was a lack of ermitas (small churches) along the second part of the Camino. There were a couple just a bit off the trail, but I skipped them. I regret that. Small churches can be quite beautiful. The walk, however, was incredible, spectacular, amazing, beautiful…all the superlative adjectives you can think of. It took me through the shores of La Kontxa (Concha), a neighbourhood of Donostia, a dairy farm, some green mountains (Igeldo) along the coast to one of my favourite villages, Orio. After Orio, the Camino goes through some more farms, some more mountains and some more ocean views to Zarautz. I came across a lot of pilgrims today. A lot. I am a bit worried that the Camino del Norte will become as much of a tourist attraction as the Camino Frances. Part of my personal pilgrimage is alone time, solitude, listening to God and listening to nature, finding myself, finding my faith. While in the albergues, when I start staying in them, I’ll be more open to meeting people. However, during the actual walking part of the Camino, I’m going to prefer to do it alone. So for the screaming kids just doing a short family hike…not what I was looking for. For the other pilgrims on their own journeys for their own reasons, I will say “hola, buen camino” with a smile as I either pass them or take a break and let them pass ahead. We’re all on our own journeys doing this, which is what I began to realise more and more with each passing kilometre. I met a middle-aged Basque couple just out for a hike asking me if I was going to Santiago. Very friendly. But for the most part, I haven’t received a whole lot of “buen caminos” in return. Another thing about today was there was a LOT of asphalt taking me through this beautiful landscape and not a lot of dirt paths and natural paths. I guess it was about half and half perhaps. Day Two seemed easier than the first day, and I don’t seem as tired as I did Sunday. I feel stronger, I feel rejuvenated, and I am more than ready for Day three, which will probably be next weekend, depending on weather. I love being able to train for the Camino by actually walking etapas of the Camino! Camino de Santiago del Norte. El por qué, or the why. The first time I heard about the Camino de Santiago was during my first year living in Spain when reading the AAA guide book to Europe. I was questioning why they included Santiago instead of Valencia or Granada after Madrid, Barcelona and Sevilla. I had heard tons of good things about the autonomous community of Galicia, but I had never heard anything about Santiago de Compostela or the Camino. The story fascinated me. I visited Santiago that first Semana Santa and saw the peregrinos (pilgrims) arriving to Santiago. I cheated, taking a train from Porto to Santiago, as I was just fine with being a sightseer at that time. Over the years, as I heard more about it, the more inspired I became about the possibility of doing it one day. After my first visit to the Basque Country in 2010, the Camino del Norte began to speak to me. The Camino del Norte became part of my Bucket List. During my year in my Spanish home Valencia, I read a TON about the subject. I checked out several self-published books from Valencia writers about their caminos, including one who created his own Camino from Valencia to Santiago. I became more and more determined to do it. Over the years, I’ve visited a lot of the cities on the Camino Frances, the most popular Camino that has exploded in the past few years with tourist peregrinos. León, Burgos, Logroño and Pamplona are some of the most famous, although the Navarra villages Estella and Puente de la Reina are some of the most beautiful. I always take pictures of the concha (shells) whenever I am in a place on el Camino. 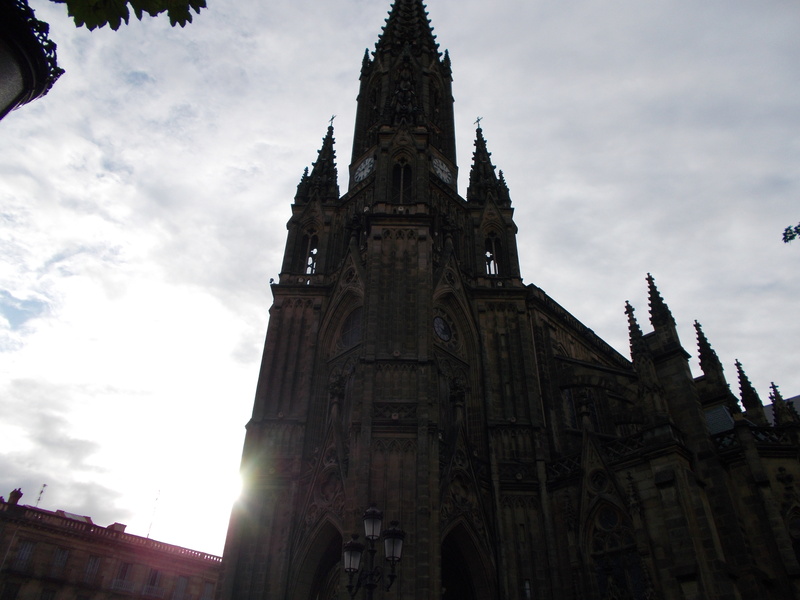 Last year, I did a very small part of El Camino from Pasaia (Pasiajes) to Donostia (San Sebastián.) It was only two hours, but the call felt stronger. I’ve been saying I was going to do an etapa (stage) all year long, and after my sprained ankle last March (Spoiler alert: there will be a future entry about bad luck on travelling, another on bad hostels, another why travelling alone is better than travelling in bad company in addition to the continuing series of Set Meravelles), I bought a guide in Spanish on the Camino del Norte to motivate myself as I healed. Summer is winding down, and I feel unprepared. I knew doing the whole Camino was not going to be in the cards for this summer, but I am going to get it started. Due to some financial issues at the moment, I won’t be able to buy some of the basic supplies (a bigger backpack, sleeping bag, proper hiking clothes (I do have the comfortable walking shoes though) suggested. I also feel unprepared for 5 days of 20 KM hiking together. But that is not going to stop me, as this is MY Camino. My spiritual side knows it’s about the journey, and I know this is going to be done at my pace. So on Sunday, while the city of Bilbao is still in a drunken stupor from Aste Nagusia, I will be boarding a bus from Bilbao to Irún on the Spanish-French (or Euskadi-Iparralde for the Euskal Herria folks) border to do Day One of the Camino. Yes, it’s going to be one day this time around, but as I go gathering strength and confidence and build my supplies, I will be able to do more and more. For next summer, I hope to be able to walk from Ribadesella in Asturias to Santiago and Finisterre. The Camino del Norte is going to be a way of finding myself, and it’s going to be a spiritual journey. Needless to say, I am freaking the freak out right now. However, if I don’t get started now, it could turn out to be something that gets indefinitely postponed until it’s too late. In September, I will celebrate the six years anniversary of my move to Spain. In those six years, I have lived in Toledo, Linares (Jaén), Madrid, Valencia and Bilbao. While I am currently enjoying the five seconds of sun per year in Bilbao and everything this incredible city has to offer, there is one major fault with it. When I first applied for a grant to teach English, my first choice was Valencia. They gave me Linares. Talk about having to make lemonade out of apples. With my first paycheque, I caught the night bus to Valencia. From the second I stepped off the bus at 5:00 AM into the 500% humidity (my first trip coincided with a “gota fría” (a cold front from the Mediterranean that comes with an incessant downpour), I knew this city was amazing. Over that long weekend, I fell in love with the city, with the atmosphere, with the food (it is home of paella), the beach, the football club…everything. I went to see my first fútbol (soccer) game and saw David Villa score in the pouring rain. Six months later, I returned as my farewell to Spain for the summer trip. The magic still was there. And after a horrible second year in Spain, first year in Madrid, a friend asked me if I could live anywhere in Spain, where would I live? The immediate answer was Valencia. I applied to do a master there that I didn’t end up having the money to do and moved there in August 2010. I ended up an auxiliar de conversación in a town in Castellón and went without being paid for several months. This lead me to leaving the city for Barcelona in July 2011…something that never came to frutition due to again, lack of money and a random work opportunity coming up. I ended up back in Madrid and missing Valencia. And I just have not been able to make my way back “home” to Valencia. But I will someday for more than a fleeting visit. Despite the government problems there (and the fact it is one of the places the crisis de mierda is felt most in Spain), Valencia is an amazing city with tons of offer. The province also has a ton to offer, so that’s why I will split this into two entries as the city alone offers Set Meravelles. Valencia has two languages, Spanish and “Valenciano”, which one could argue all day either way and never know for sure if it’s a dialect of català or its own language. (The government says it is different, but most people that actually speak it say “it’s the same, but it’s not català”. It’s safer to call it “valenciano” as it will lead to less fights.) They have two fútbol teams in Primera División, Valencia CF (AMUNT!) and Levante. It has amazing neighbourhoods like Barrio del Carmen and Russafa. It has two weeks of winter with temps of 10ºC (50ºF). It has oranges, lots of oranges. It has my favourite gay pub in all of Spain, ADN, and it is home to the first Spanish gay Internet series Lo que surja. And it has, of course, set meravelles! It is hard to settle on just seven, but as I’ve written about Fallas, I can leave them off, I hope. And paella is, of course, the 8th wonder of not just Valencia but the world. 1. Ciutat de Arts i Ciences. This giant museum complex is home to a big aquarium, an IMAX type theatre, a geeky-cool science museum and an art museum. Calatrava designed it. While it is a bit of a sore topic for some Valencians (they are still paying for what tourism has not), it is an amazing place to visit. 3. Río Túria After massing flooding in the 1960s, the Valencians re-routed the river south of the city and turned the old river bank into a 7 kilometre park with running trails and the aforementioned BioParc and Ciutat de Arts i Ciences. 4. Catedral de València. Monty Python should’ve come here first as THIS is the supposed home of the Holy Grail. But then again, no one expects the Spanish Inquisition. 5. Torres de Quart i Serrano Two of the old gates from when Valencia was a walled city. Both open to the public with incredible views of the city. 6. Places de la Reina, de la Virgen i d’Ajuntament. Valencia has some of the most gorgeous plazas in all of Spain. This is Plaza de la Virgen at night. 7. La platja de la Malvarrosa. A beautiful long beach. I usually walk to the end where there are less people. After experiencing Fallas in 2011, one would think I have had enough of Spanish Festivals for a lifetime…not so much. It is true that I am one of those introverts who just doesn’t like being around masses of people. I’m just not a festival or life-of-the-party type. I prefer sitting back and observing. However, I also tend to feel guilty about “missing out” on something. I still have yet to see San Fermines (maybe next year). But there are many other festivals to see, especially in the Basque Country region. Last year, when I moved to Bilbao, I took advantage of living close and went to Basque capital, Vitoria, on the 4th of August to see the beginning of the Festivales de la Virgen Blanca. I am NOT a fan whatsoever of the Basque “chupinazo” which involves getting everyone extremely wet with wine. This was strike one against it. Strike two was just too many people crowded into the Plaza de la Virgen Blanca. 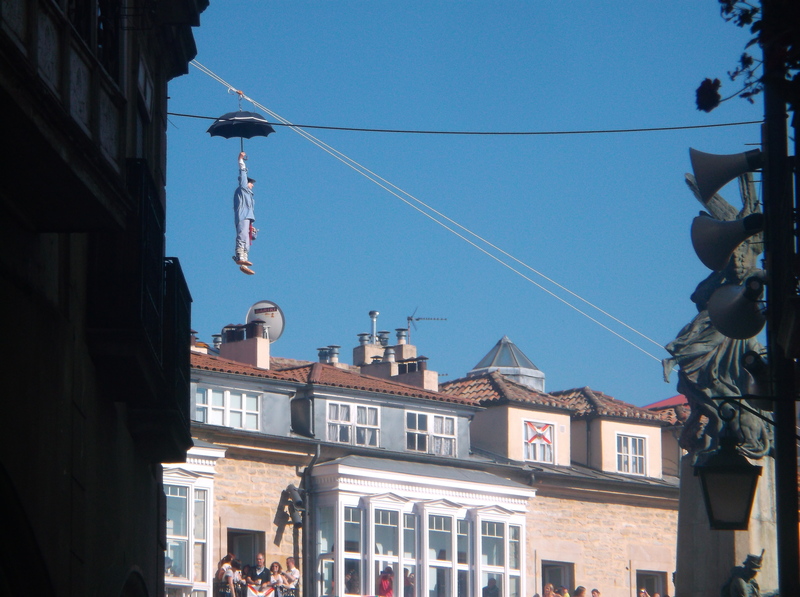 However, it was really cool to see the descent of the “Celedón” to start the festivities. If only I didn’t have to be drowned in wine to see it. As the Basques like their festivals, they have it planned to have three weeks straight of festivals between the three biggest cities. I missed the festivals of Donostia, but living in Bilbao meant I had to survive Aste Nagusia. 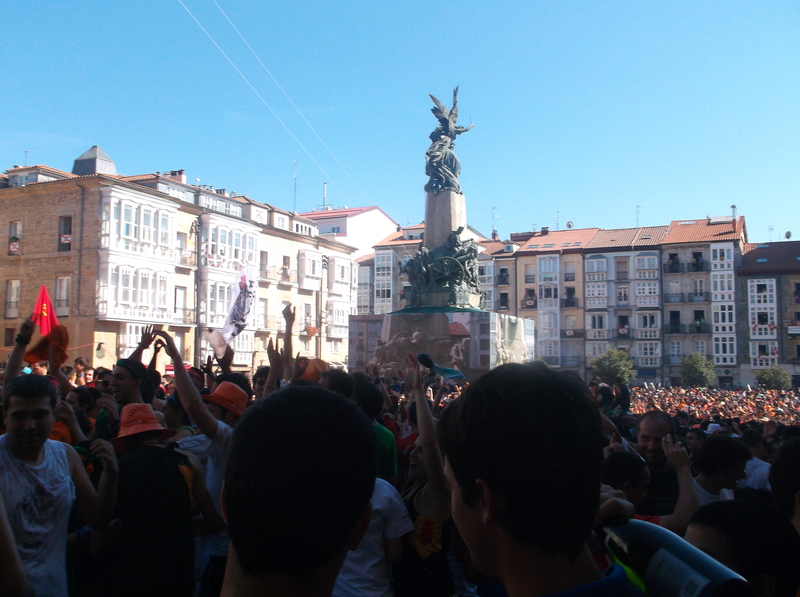 Marijaia is the symbol of Aste Naguisa, a cariacture of a Basque woman ready to party. She is seen everywhere on the posters advertising the event, and when she arrives on the third Saturday of August, the parties begin. Aste Nagusia began in 1978 and is becoming one of the biggest festivals in Spain. From extremely weird street theatre performances outside the Teatro Arriaga to walking giants to nightly firework displays, Aste Nagusia has something for everyone…except peace and quiet. 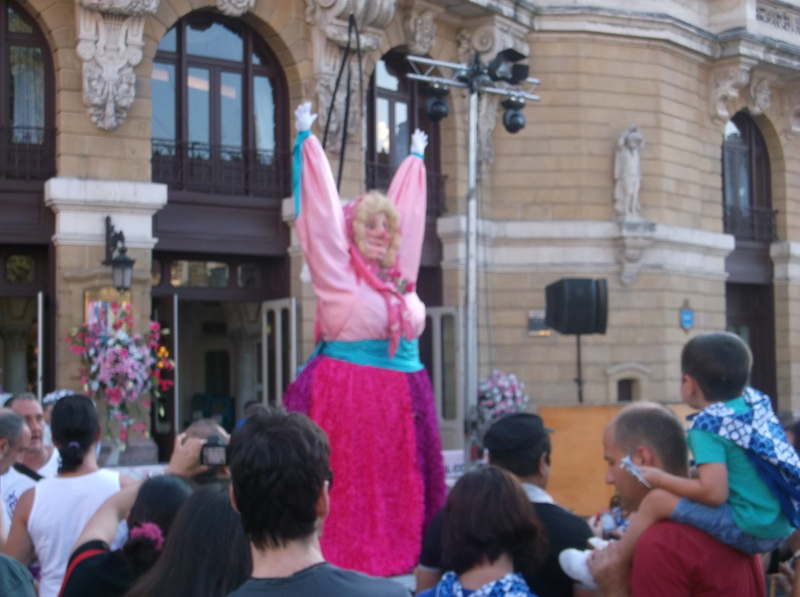 They also have street discos, Basque dances and concerts. For nine days, Bilbao is filled with people. And then on the fourth Sunday, Marijaia takes a nice sail on a raft down the Nervión Ría to meet a fiery death. The party is over until next year. Each village has their own festival too. The most infamous in the Basque Country would have to be in Lekeitio, where for San Antonlines, people compete by seeing who can hang onto a dead goose the longest. The goose used to be alive for this event. I’m not sure whether I’ll make it to this one. We’ll see. I have been to a couple of other festivals in Spain. In October 2012 I went to Zaragoza for the Pilares, which honour the patron saint of Zaragoza, Pilar. 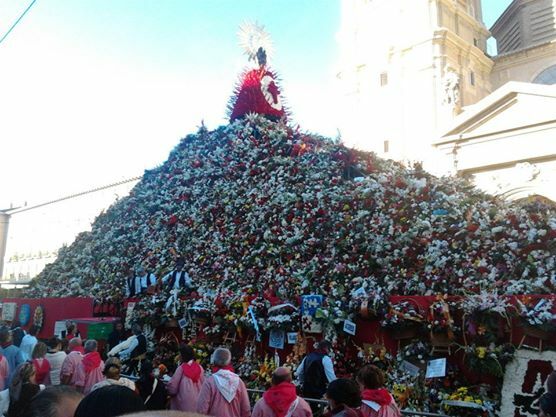 Like the Fallas, they have an offering of flowers which takes place on October 12. All day long, people dress in the traditional costumes of Aragón to offer Pilar flowers. The next day, they offer fruit. There are tons of concerts, fireworks and other fesitivities too. As all of Spain has the day off for Día de la Hispanidad, this one is quite popular and busy. However, it’s not quite as famous on the international level. Another festival catching on more and more every year is, of course, gay Pride or Orgullo. I have been twice. Again, as I try to avoid huge conglomerations of people, it’s not really my think. In Madrid, there are so many people that you can’t move. All the bars in Chueca are jam packed with concerts in the street (sometimes. Sometimes, like when I was there in 2011, there are noise ordinances that prohibit sound from being made so everyone had to listen on headphones. I am not making this up.) and drunken tourists everywhere. Pride in Valencia was much calmer and more fun. I remember the drag queen apologizing for not speaking “valenciano”. So while I am not a party person, I have to admit sometimes festivals can be a good change of pace. The atmosophere changes tremendously with the festivals, and people are happier. The crisis is long forgotten. And I’m sure someone could find a festival in Spain for every day of the year. However, that person will not be me. For those of you who don’t know, Zaragoza is a city located in Aragón halfway between Madrid and Barcelona *and* Valencia and Bilbao. (Four hours from each of these cities.) It’s one of the biggest cities in Spain, but it doesn’t have the fame as many other cities. It seems to serve as nothing more but a quick stop to bigger destinations, which is not fair at all to the city or province. The city has many things to offer without all the hustle and bustle, and for those wanting a city break without a bunch of annoying tourists wearing socks with sandals, Zaragoza is the place for you. 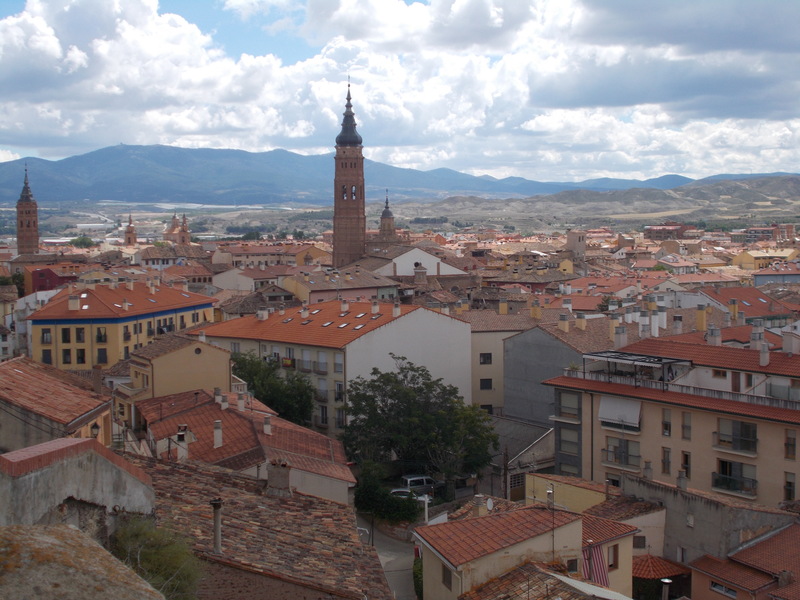 Aragón is the comunidad autonoma that once was part of the Kingdom of Aragón that merged with Castilla when its king Ferdinand II married Isabel. Don’t remind the Catalans this, but Catalunya (and Valencia and the Illes Balears)) were once part of the Kingdom of Aragón and their flags stem from the old Kingdom of Aragón flag. My second trip to Zaragoza was in October 2012 for the Pilares Festivals, which will be talked about more in the upcoming Spanish Festivals Part II blog. And I just finished my third visit to Zaragoza in 2014. It seems I’m going here every two years. This time I was able to find out how nice the people of Zaragoza really are. My friend from Madrid says they are “bordes” (rude, rough and tough), but I found them to be quite friendly, welcoming and genuinely good people. They represent Spain well. I also got to visit Calatayud, the second largest city of Zaragoza, this visit. It’s well worth the visit with several castles, old churces and amazing views. There are a few Meravelles that I still have yet to discover in Zaragoza, such as Monosterio de Piedra and Sos De Rey Catolico, which I’m going to have to have a car to visit. 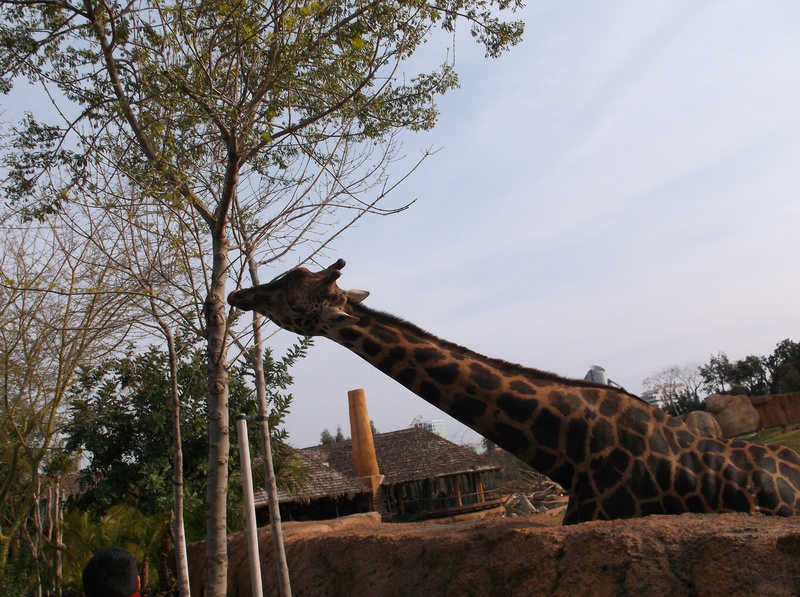 But for now, I will leave with the wonders that I *have* seen.